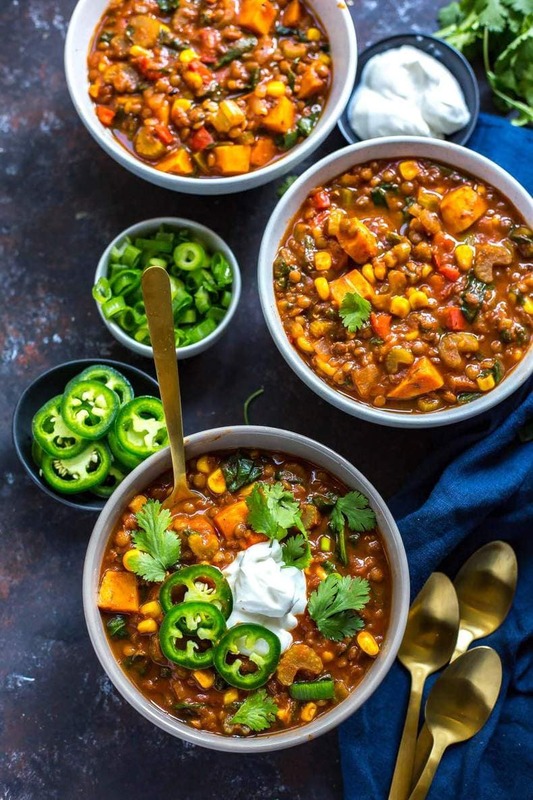 This Slow Cooker Sweet Potato Lentil Chili is a healthy, vegetarian spin on comfort food that's perfect for chilly weather! Dump everything in your crockpot and let the flavours mingle! Dump all ingredients except for corn and spinach in the slow cooker. Cook on low for 8 hours until sweet potatoes are tender and lentils are soft. Stir in corn and spinach, then serve with toppings of choice. Will keep frozen up to 2 months - to reheat, microwave on high for 5-7 minutes, stirring halfway through.